A pop quiz session will hold on the 25th of January. This will feature 2 questions from the forthcoming Skusat Prelim Spur online assessment in a single publication on our Facebook timeline. 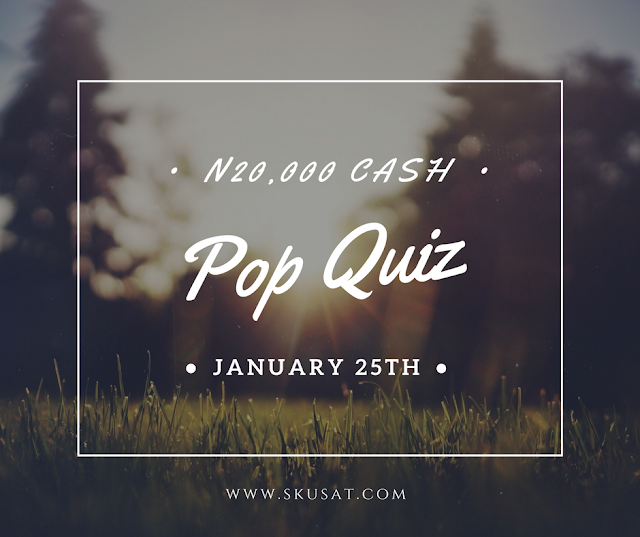 The individual to provide the appropriate dual feedback will be rewarded with N20,000 cash.